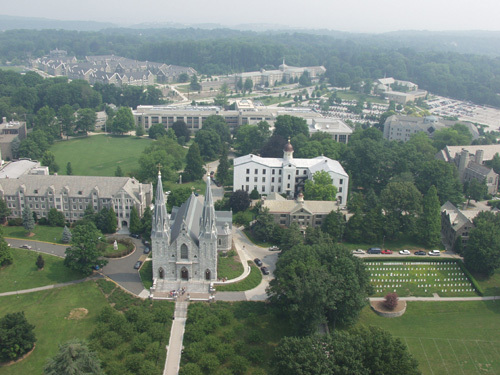 If you are looking for a great camp experience this summer, visit “Camp Villanova” on the Villanova University campus! From sports, to science, to medicine, to computers, to leadership, there are professionally-run day and overnight programs for dozens of interests. Villanova’s campus offers awesome facilities, an award-winning dining service, and a convenient location - on the Main Line, next to Rte. 476. For information about each summer program, log on to www.camp.villanova.edu or call the Camp Villanova hotline at 610-519-3099. Activities: Academic and Pre-College Camps, Animals, Archaeology, College Prep, Community Service, Computer, Engineering, Leadership, Public Speaking / Debate, Robotics, Adventure, Tour & Travel Camps, Environmental, Service Projects / Community Service, Sports Camps, Baseball, Basketball, Field Hockey, Football, Golf, Lacrosse, Running, Soccer, Softball, Sports Broadcasting, Swimming, Tennis, Track and Field, Volleyball, Technology Camps, 3D-Design, Computers, Digital Photography, Digital Video, Flash Animation, Game Design/Networking, Robotics, Rocketry, Web Design.